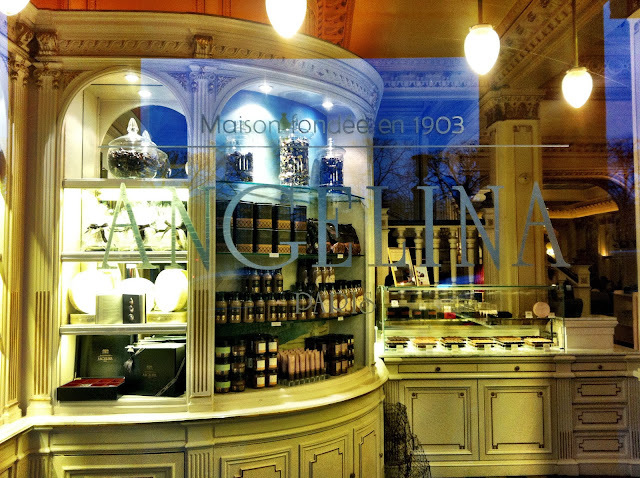 A Parisian institution, Angelina, whether you like it or not is a must try when in Paris. 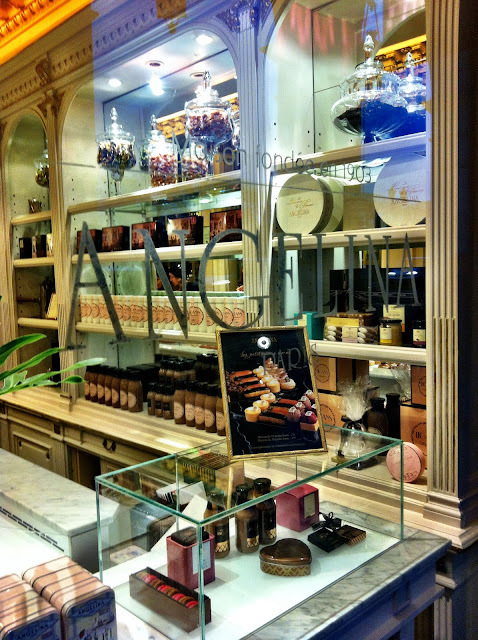 If not for their decadent signature hot chocolate, then for their divine signature Mont Blanc dessert. 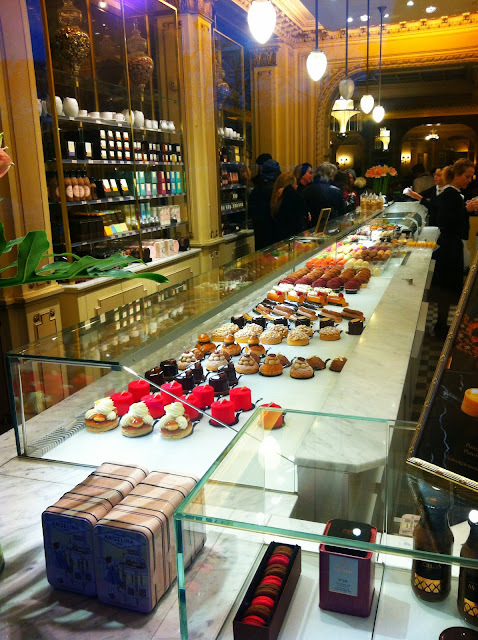 If not for their dessert, then just for the experience of sitting in the beautifully decorated Belle Époque tea salon. Sure, it will be full of tourists, the staff with probably be less than friendly, slow and they may even ask for payment when they finish their shift (regardless of whether or not you have finished), BUT - try not to let that ruffle your feathers. 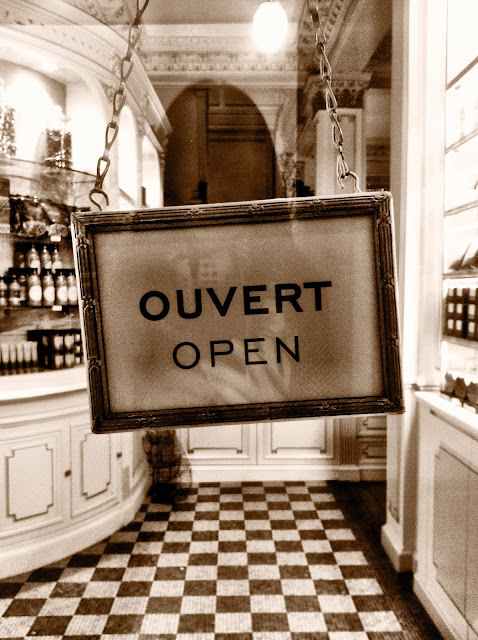 Paris has never been known for its award winning customer service anyway! Take a deep breath and embrace the sights and smells and tastes. 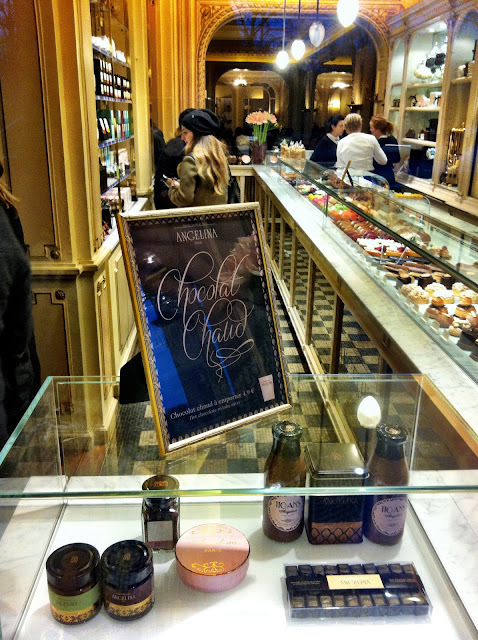 Relish in the fact that since 1903, for over 100 years, Angelina has opened its doors to guests like Coco Chanel and Marcel Proust, and now, you. More often than not, there is going to be a line. So, if you are in a rush and don't have the time to wait, there's a take away option for their signature hot chocolate (4.90€) and for the different desserts too. It's definitely not the same experience but it's something to think about. Now, onto what you should try at Angelina (well what I think you should anyway). The two might be a bit too much together so make sure you ask for a carafe of water with your order! The signature Mont-Blanc dessert has a sweet crisp meringue base, a light Chantilly whipped cream centre and it is encased in chestnut cream spaghetti-like perfectly lined rows, in the shape of a ball of yarn. It is divine and probably the best Mont Blanc I've tasted. 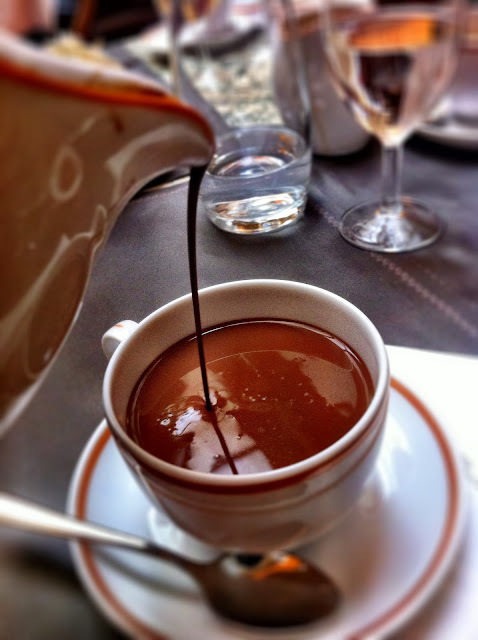 The signature hot chocolate at Angelina is a thick, intensely rich, decadent, velvety and sweet journey for the senses. It will leave you feeling a little guilty and a little nauseous (in a good way). It comes in a little white jug so you can pour out as much as you please, as well as a little pot of whipped cream on the side to help you along in case things get too chocolaty. I LOVE chocolate and I found it hard to finish the serving. Even the thought of not wasting my 7.90€ didn't help get me over the finish line..! Opinions on the Angelina hot chocolate are varied depending on what you look for in a hot chocolate. 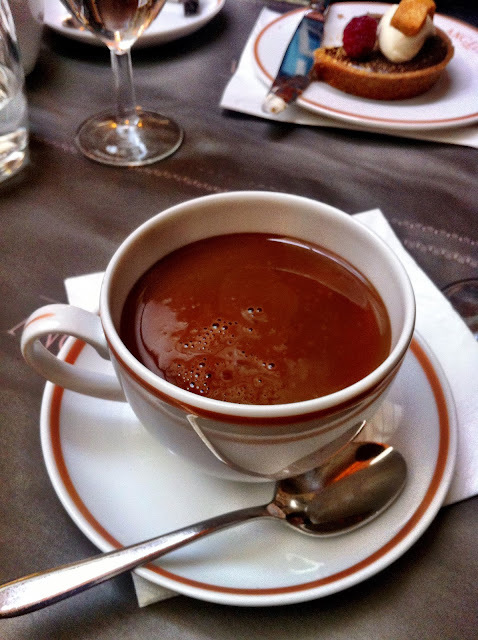 For me personally, when I'm at Angelina, I'm not looking for a normal day to day hot chocolate, I'm not looking for quirky flavours or an almost bitter hot chocolate (I will write about my other favourite hot chocolate places another day!). I'm looking to go all out, like the interiors of the building. I'm looking for a 'once in a while' experience where I can ignore my upcoming blood sugar readings and just enjoy the moment. In which case, Angelina's hot chocolate is the perfect indulgence. Merci merci, je suis contente que mes photos vous donnent envie d'essayer un chocolat chaud chez Angelina, n'oubliez pas le Mont Blanc!